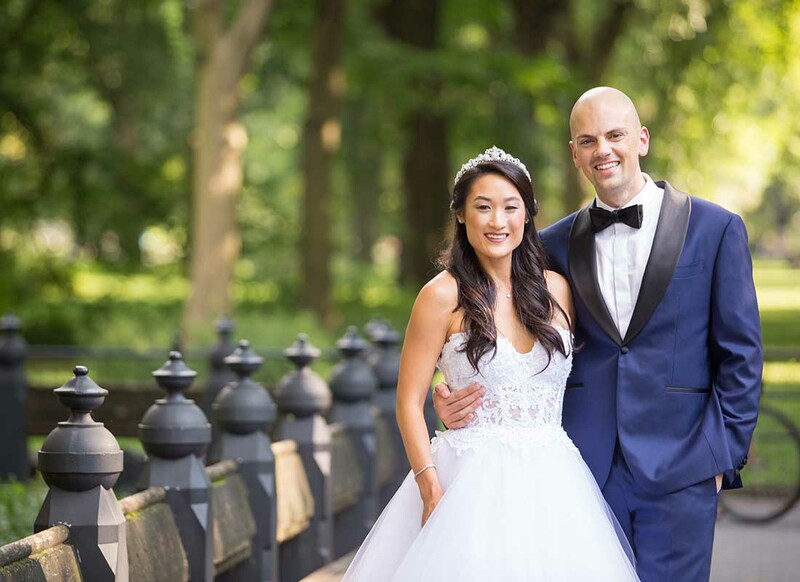 Wanting the quintessential New York wedding, Jessica and Matthew Slamon wed at The Loeb Boathouse in Central Park, NY on August 19, 2017. 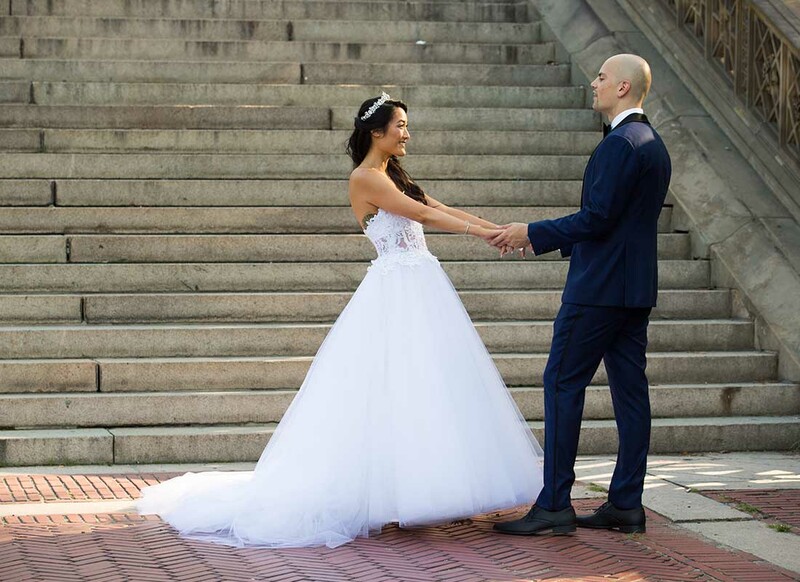 Keeping with the New York vibe, what better for a modern bride to wear than a stunning fashion-forward ball gown like the one Jessica wore on her special day. 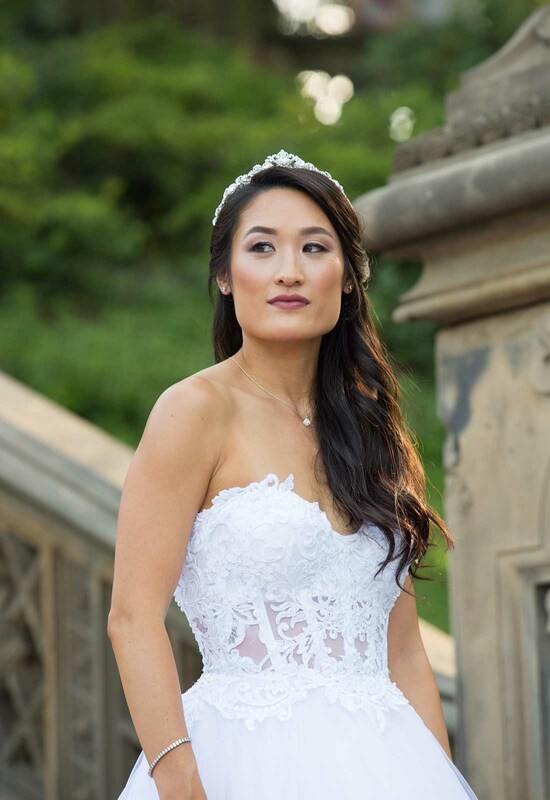 Knowing that she would be making the trip to Kleinfeld Bridal, Jessica visited a couple of other bridal boutiques first to get a feel of what she liked. 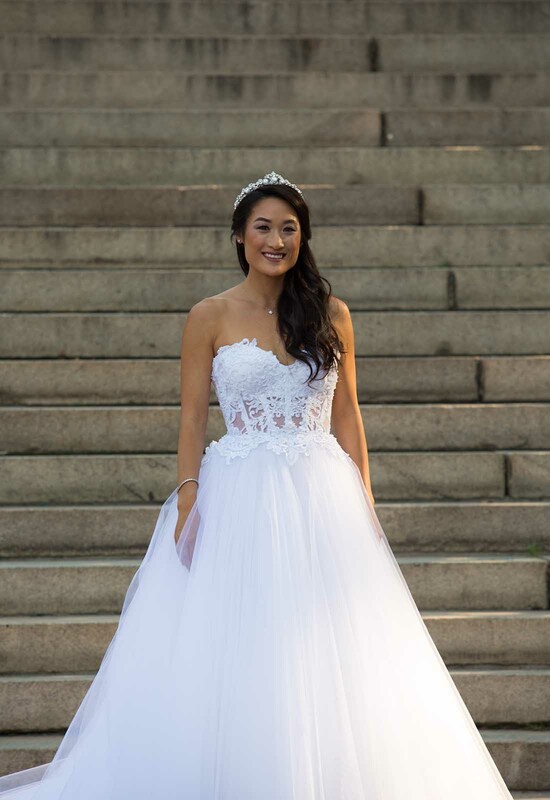 By the time it came for Jessica and her shopping posse to visit the famous bridal boutique, Jessica knew that she was looking for a gown with a sheer component, some lace appliques and was torn between a ball gown and a fitted gown. With these characteristics in mind, Jessica's consultant went and pulled some gowns for her. 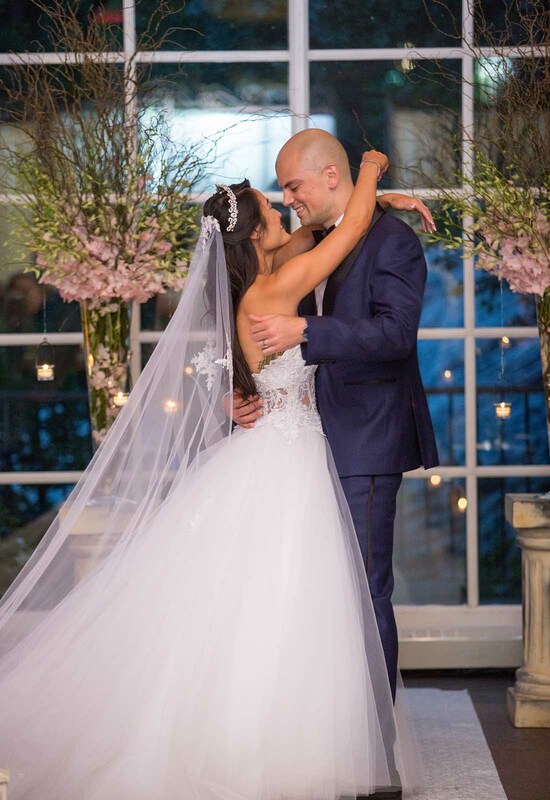 One of the gowns pulled for Jessica was a modern Pnina Tornai ball gown with a strapless, sweetheart neckline, sheer corset with lace appliques and a full tulle skirt. 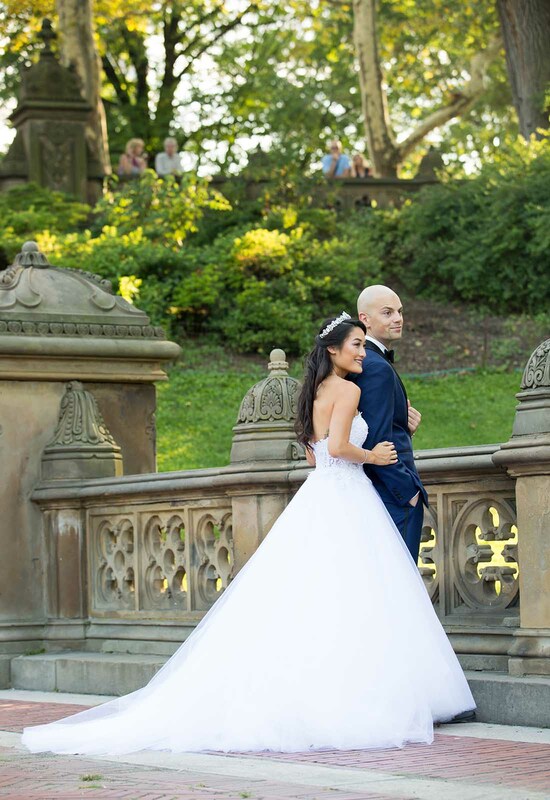 It had everything that Jessica was looking for and it was only the second gown that she had tried on while at Kleinfeld. Jessica fell in love with the gown, but not wanting to decide too hastily Jessica decided to try on more gowns. 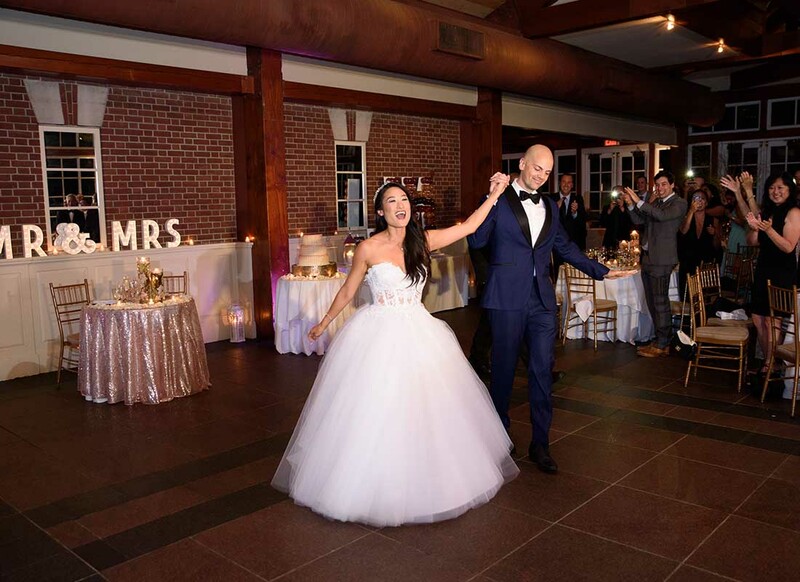 After trying on the rest of the gowns, Jessica was still in love with the Pnina Tornai ball gown and decided to try it on one more time. 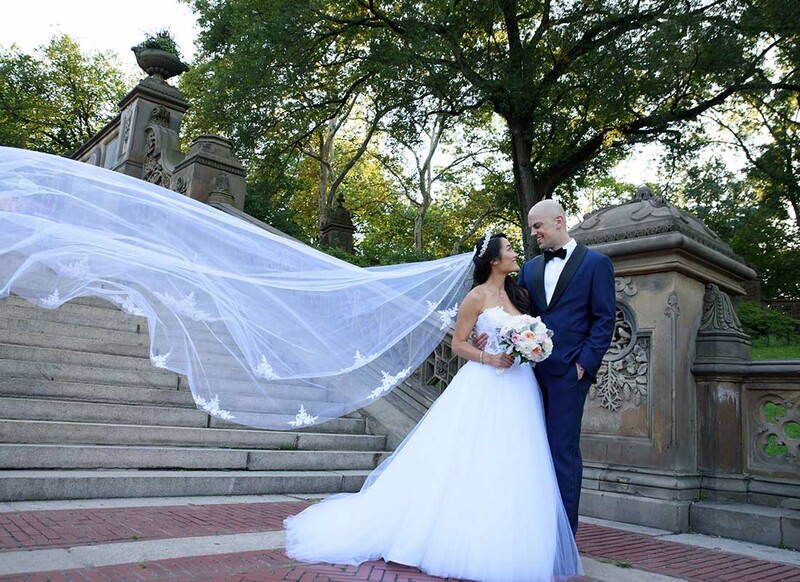 The consultants accessorized her with a veil and although she was still head over heels in love with the gown, Jessica could still not say yes to the dress. 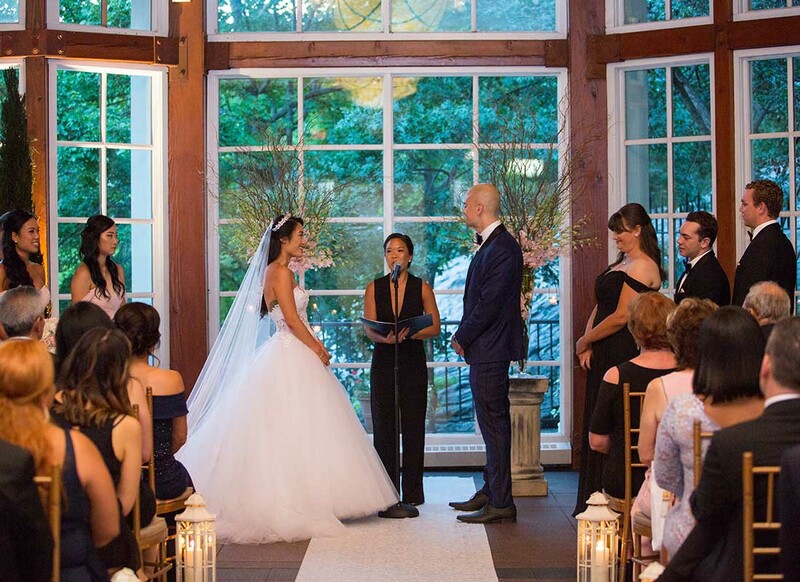 But after one more appointment at another salon and a good night's rest, Jessica was finally ready to say yes to the dress! 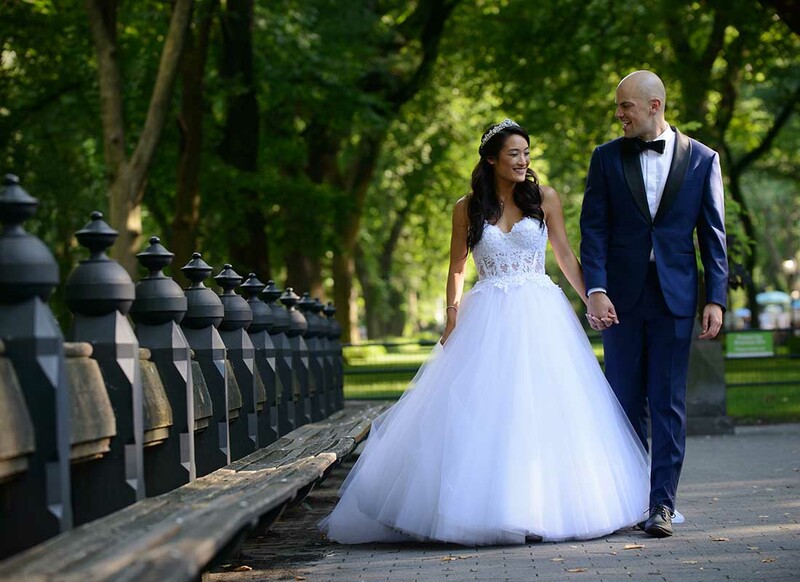 The heart wants what the heart wants and Jessica's had fallen in love with an exquisite Pnina Tornai ball gown. 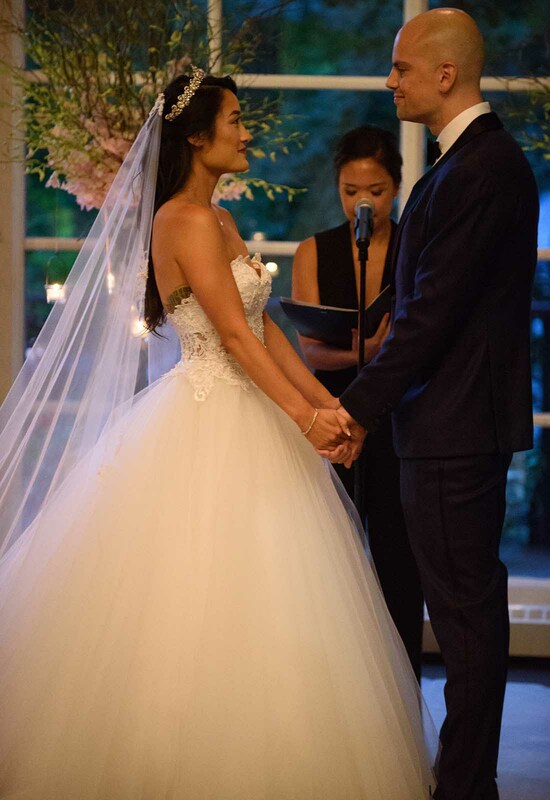 This ball gown really was everything Jessica could hope for. 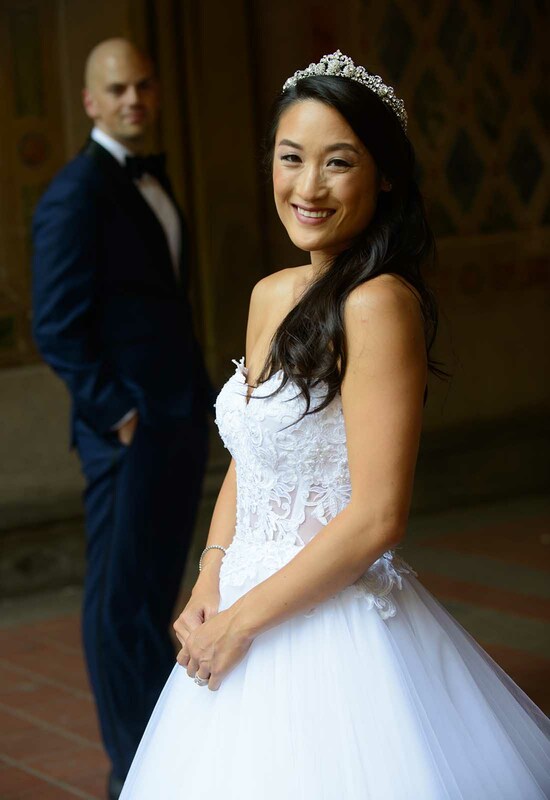 The bodice of the gown fit wonderfully and had the sheer corset and lace appliques that Jessica desired, and they dropped the torso of the gown a bit to fit her silhouette better. 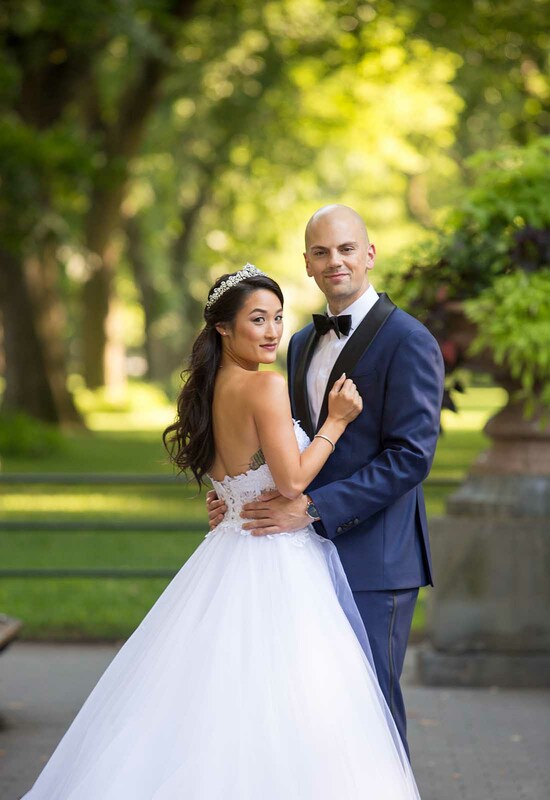 The tulle gown was both whimsical and elegant and would fit in ideally with the vibe that her and soon-to-be husband, Matthew, were going for. 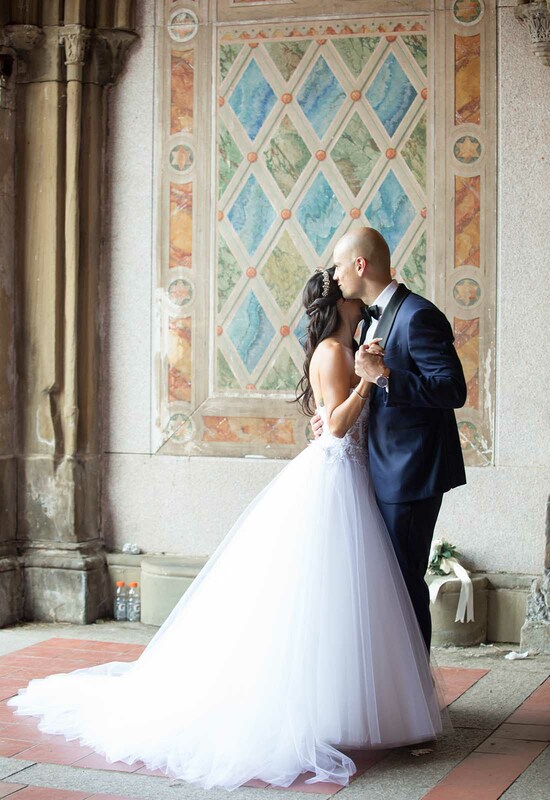 A lace embroidered, cathedral length Pnina Tornai veil was of course the perfect choice to accompany her stunning ball gown. 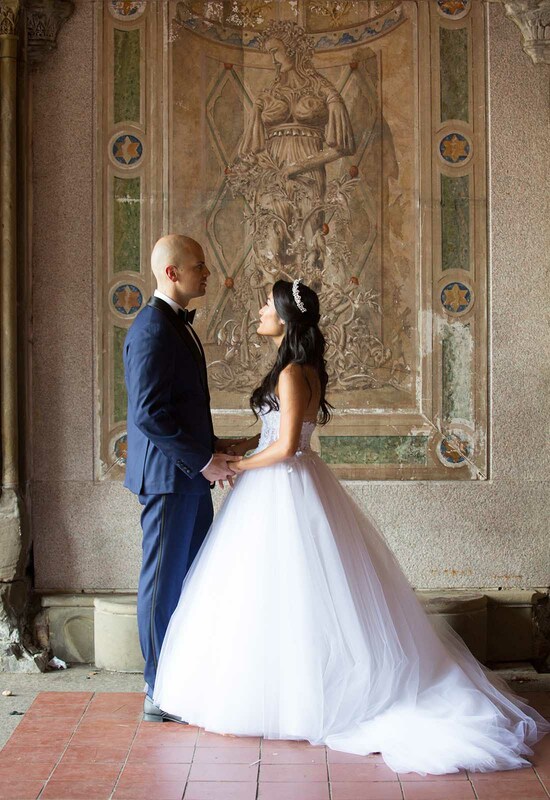 Combined with a custom-made tiara and a half-up, half-down hairdo, Jessica was a vision of bridal elegance on her wedding day. She finished her look with a necklace gifted to her that day from Matthew, stud earrings, and a tennis bracelet. 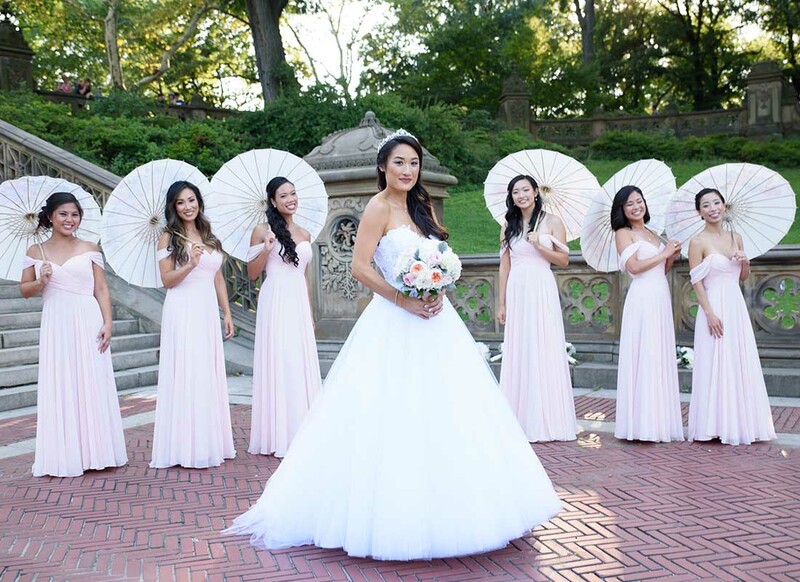 Walking though Central Park with all eyes on her, Jessica was truly a New York queen that day. 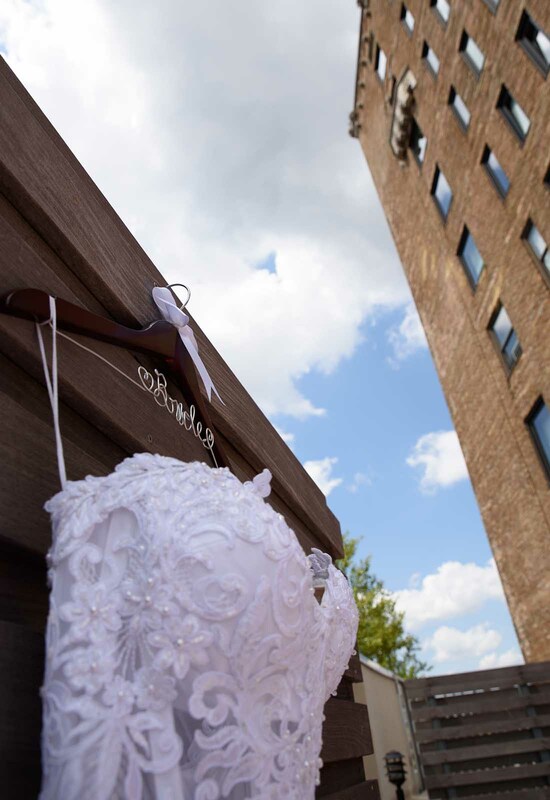 A wonderful mix of contemporary and classic, Jessica felt comfortable and confident throughout her wedding day. 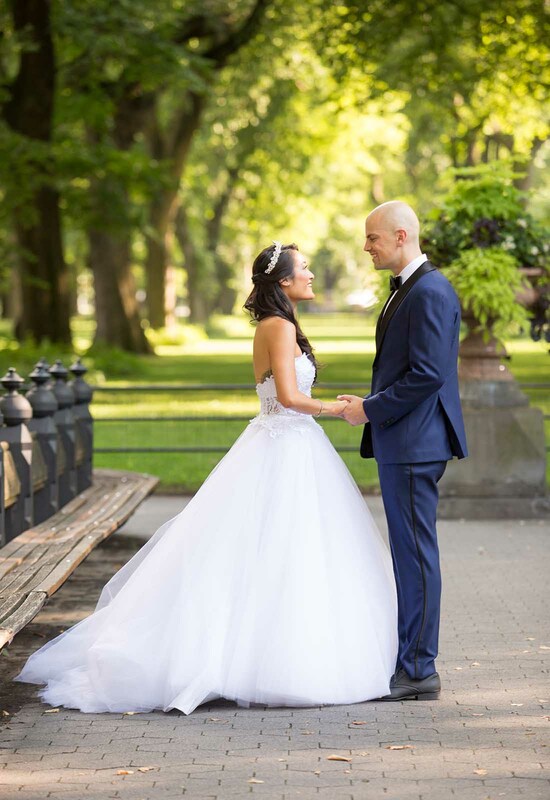 Enjoying a gorgeous and sunny New York summer day, Jessica and Matthew said their I do's surrounded by the warmth and love of their family and friends. 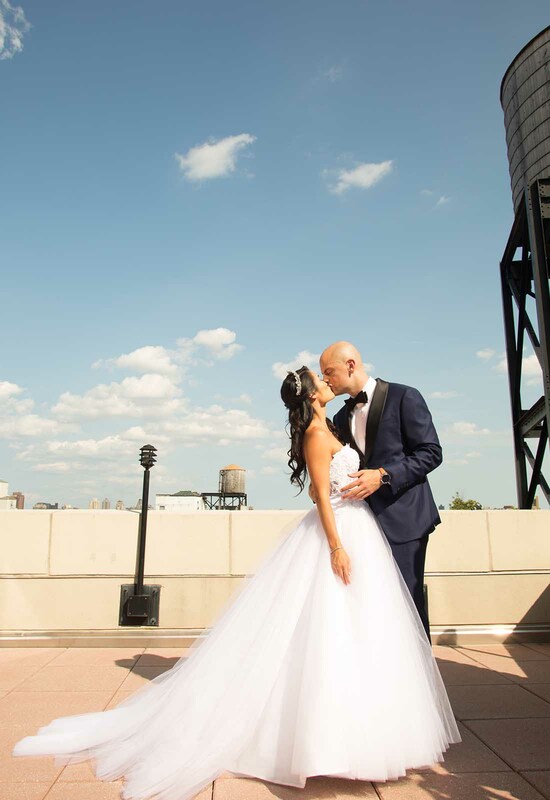 A New York fairytale at it's finest.